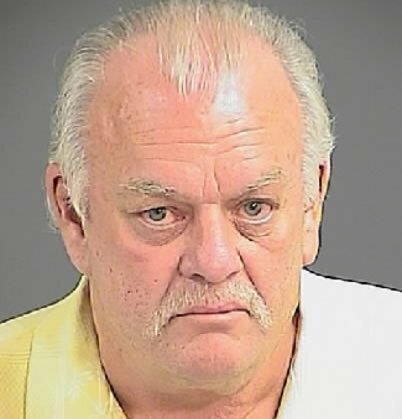 In October, Charleston police arrested abortionist Gary Boyle, 62, of Tennessee, on charges of pointing a firearm after protesters said he brandished a handgun loaded with 15 cartridges, according to a police report. The incident allegedly occurred during a scheduled vigil by an anti-abortion group outside the Charleston Women’s Medical Center. Twice a year, members of 40 Days for Life stand vigil at abortion clinics across the country to protest abortion. Charleston County Associate Chief Magistrate James B. Gosnell Jr. has sided with the prosecution, ruling that enough evidence exists for the case to advance to trial, though a date was not set. The state law he is accused of violating contends that it is “unlawful for a person to present or point at another person a loaded or unloaded firearm.” The charge against Boyle is a felony that carries up to five years in prison. A doctor was charged with a felony in South Carolina on Saturday. Charleston Police said Dr. Gary Boyle, 62 of Blountville, pointed a gun at three abortion protesters near the back entrance of the Charleston’s Women’s Medical Center. According to the police report, Boyle works at the center. He also practices medicine at the Bristol Regional Women’s Center in Tennessee. Both offices are the focus of a 40-day protest by anti-abortion activists. A national organization called ’40 Days for Life’ started their vigil outside Boyle’s Bristol office on September 22nd. Organizer Linda Edwards said she plans to continue through the end of October. The police report lists three victims: 50-year-old John Karafa, 60-year-old Kenneth Ray Collins, and a male juvenile. “[The victims] stated they were standing at the back entrance of the building, waiting to hand out their religious literature,” police said. “The victims advise that the offender pointed a firearm at them from inside his vehicle,” police said. Boyle could not be reached for comment Monday. His office declined comment. Boyle told police he drew the gun because he felt threatened. “The offender admitted that he presented the firearm because he was in fear of his and his wife’s life,” police said. Collins disagreed with Boyle’s version of their encounter. He said Boyle approached the group of protestors. “I offered literature to the approaching car,” Collins said. “Then I saw that I was looking down the barrel of a handgun,” he said. Collins said the protest group was standing on the public right of way. Boyle could have called the office security guard if he felt threatened, he said. “The guard sometimes stands and talks with us,” Collins said. Boyle was charged with ‘pointing a firearm at any person,’ a felony in South Carolina. It carries a maximum prison term of five years. Boyle is scheduled to appear in Charleston County Criminal Court on December 17th, 2010. He is free on a $25,000 bond. CHARLESTON, SC — A Blountville, Tennessee doctor has been charged with pointing a gun at protesters outside an abortion clinic in Charleston, South Carolina. Local police say 62-year old Gary Boyle was released on a $25,000 bail Saturday, after they say he pointed a handgun at three abortion protesters in the clinic’s parking lot. 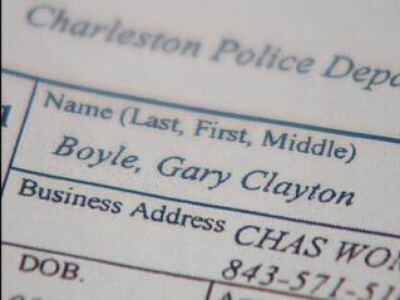 It was not clear whether or not Boyle was actually performing abortions at the Charleston clinic, but the investigation is ongoing. For the past 11 days, anti-abortion demonstrators have gathered at the Charleston Women’s Medical Center in West Ashley as part of the annual “40 Days for Life” movement against abortion, each of them signing a “statement of peace” before participating. Police say the protest met a threat Saturday morning when an out-of-state abortion doctor flashed a gun at them. Police arrested Gary Boyle, 62, a Blountville, Tenn., physician, on charges of pointing a firearm. Boyle drove into the parking lot of the clinic on Ashley River Road near Fuseler Road at around 8:30 a.m. When three protesters, including a 17-year-old boy, approached him, Boyle brandished a black handgun loaded with 15 rounds, according to a police report. Boyle then stepped out of his SUV and walked into the clinic without further incident, the report says. One of the three protesters, 50-year-old John Karafa, called 911. Boyle appeared by video conference at a bond hearing Saturday afternoon dressed in a light yellow button-down shirt. Charleston County Magistrate Priscilla Baldwin set his bail at $25,000, which he posted later Saturday. Whether Boyle performed abortions locally is not known. He and another physician operate the Bristol Regional Women’s Center near his Tennessee home. A woman who came to the courtroom on Boyle’s behalf declined to speak during the proceedings and ignored requests for comment after the hearing. The incident wasn’t the doctor’s first legal snag. He and his partner operated their clinic without a required certificate of need from the Tennessee Health Department for several years in the 1990s, and the health department tried to shut them down, according to court filings. The dispute dragged on for years until 2002, when an appeals judge ruled that the state statute requiring the certificate had violated a woman’s right to privacy. In Light of the recent shootings of Rep. Gabriel Giffords and others in Arizona- we call on the Left-Wing media to decry pro-choice violence ! This entry was posted on March 4, 2011 at 2:08 pm and is filed under Abortion, abortion clinic safety, Abortion Clinic Worders, Abortionist, pro-choice, Pro-choice law breakers, pro-choice violence, Pro-Life with tags Abortion clinic, abortion doctor, Abortionist, Anti-abortion, Charleston Women's Medical Center, Gary Boyle, George Tiller, Gun, pro-choice violence, protesters, violence. You can follow any responses to this entry through the RSS 2.0 feed. You can leave a response, or trackback from your own site. John Karafa, Ken Collins, and the 17-year old high school student purposely do not affiliate with 40 Days for Life. This is because 40 Days for Life requires their members to sign a non-violence agreement. Karafa and Collins know this, and don’t join because they want to aggressively scream at clinic staff, volunteers, and patients. So don’t try to make it seem like they are peaceful protesters when they are not.